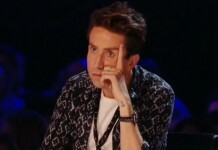 Nick Grimshaw reveals he was never asked to host BRIT Awards 2015! Nick Grimshaw reveals he was never asked to host The BRIT Awards 2015! Nick Grimshaw has revealed that he was never asked to host The BRIT Awards 2015 after James Corden quit. 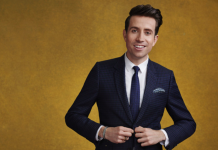 As former host James Corden stepped down from the role after last year’s ceremony, Grimmy was tipped as a possible replacement. Meanwhile, Grimmy also spoke about his collaboration with Topman, revealing that it was something he had “always wanted to do”. Ant and Dec are this year’s presenters of The BRIT Awards 2015 which is hosted in London tonight. The BRIT Awards 2015 starts from 8pm tonight on ITV. X Factor 2016: Sharon Osbourne has a dig at Nick Grimshaw and Rita Ora! 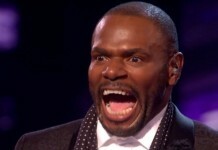 The X Factor 2015: Anton Stephans hits back at Nick Grimshaw!